Hundreds of villages have been submerged across the region that stretch along the southern edge of the Himalayas. People are taking refuge wherever they can. 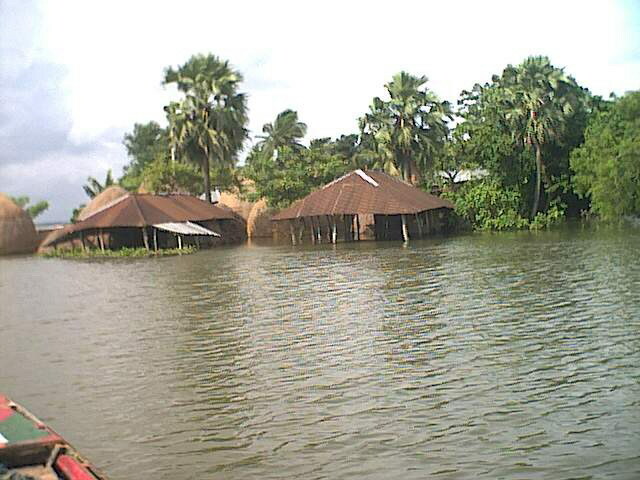 Monday, August 6, 2007 – CMAT is monitoring the situation in Bangladesh and northern India where major flooding from monsoon rains have killed up to 1,200 persons and displaced more than 20 million. The threat of water-borne diseases is rapidly rising and millions of people are homeless or cut off in their villages because of the heavy monsoon rains and flooding. The threat of water-borne diseases is rapidly rising and millions of people are homeless or cut off in their villages because of the heavy monsoon rains and flooding. Helicopters have been flying over northeast India on Saturday, but were only able to help a fraction of those who needed food and supplies, Red Cross officials have reported. UNICEF has reported that the worst-hit states are Bihar, Assam and Uttar Pradesh, where hospitals are packed with people suffering water-borne diseases such as diarrhea, typhoid and cholera. Hundreds of villages have been submerged across the region that stretch along the southern edge of the Himalayas. People are taking refuge wherever they can. Women and children have been seen screaming for help from treetops in Uttar Pradesh. In parts of the state, river levels rose so quickly that villagers had no time to save any belongings. CMAT will be making a decision shortly to deploy its CMAT teams to the area – please check our website often for more updates.